A 3-mana 2/4 is a card most white decks wouldn’t mind, and this can often be better than that. Playing this on turn 3 is easy, and in the right draw, this might come out for 0 mana on turn 4 or 5. 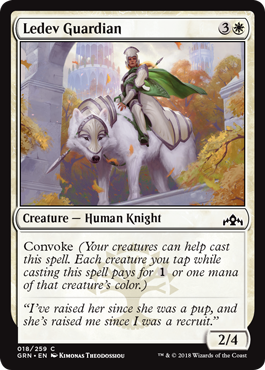 Plus, 2/4 is a particularly good statline for mentor, which is some nice cross-guild synergy.